Jungle’s self-titled debut album is finally available now and I couldn’t be happier. It’s been a full year since I first listened to a track by this talented band. What at first started as a lucky new music discovery of some very hip, funky and catchy tunes, turned out to be much more, Jungle was poised to hit it big. I previously wrote a feature about Jungle not many months ago here, as an Upcoming Artist you should be on the look out for, but I never imagined about a month later they would finally announce their debut album, and two months after that I would already be enjoying it along with thousands of new fans around the world of this incredible new band. Since I first wrote about Jungle, besides this amazing start in such a short period of time, they had several key appearances in the last few months: One of them being the presentation on American television on the Jimmy Kimmel Live! Show, and another one in their amazing presentation in Glastonbury 2014 in front of a huge crowd that went crazy because of their outstanding performance. Still mysterious but now globally recognized, Jungle is often referred to as a duo but the band usually consists of seven members or more. It’s cheery soul music perfectly blended with 70’s funk with just a touch of modern dance music. The blend is exquisite to hear and its power goes well beyond a mere revival of the genre, it’s as real as music can get and a truly immersive and enjoyable experience. The falsetto is never out of key with their funky grooves and the atmospheric scapes presented. Electric guitars, basses, bongos, trumpets, synths, keyboards, and more, all compose the rich sounds heard in Jungle’s music. Post-funk, post-soul, post-dubstep, post-dance, Jungle sounds like everything we’ve heard before and like nothing we’ve heard before. The album blends already popular tracks: Platoon, The Heat, Busy Earnin’ and their latest single Time, with other equally catchy, funky and danceable songs. The Heat serves as a powerful album opener that sets the mood for the following tracks. Sirens on the background, subtle sounds of people chit chatting, you can almost feel the breeze like if you were standing on the sidewalk of a boulevard near the beach in a warm and sunny city. The rest of the songs just flow from there and the second one, Accelerate, is a great follow up that keeps things smooth. It’s easy to imagine the video for the song to be similar to the music video for The Heat. Busy Earnin’ is really when the album really gives out its first punch. The track is a retro blend of sounds with a beginning and subtle background shouts reminiscent of the band’s own name. Platoon had been my favorite song by jungle because of its great composition, from the background loop of chime sounds to the hypnotic subtle repetition of “oooh-oh, brother!” for most of the second half of the song. Drops is the type of song you could use to make a slow dance to your lover and it was previously released with the single for Platoon. Time is their latest and greatest single. Even before the recent unveiling of the music video (which is splendid and shows people dancing like all of Jungle’s music videos up to now), the song had the enough power to surpass the other previously released songs and it’s catching up, as most people were eagerly waiting for a video for the funky track. Smoking Pixel is an instrumental-only interlude for the album. It’s a little odd piece because the whistling and instrumental composition of the song reminds me of the western style which I don’t relate to the band at all. It was used in the album trailer and it’s sometimes used as a concert opener in the band’s live presentations. After this track the album moves into more emotive but slightly less impacting songs to wrap things up nicely for closure. Julia is solid romantic slow-dance song with heavy use of falsetto-fied vocals and a passionate chorus. Crumbler is another dance song that just feels very smooth and inviting, it’s a fantastic blend of modern dance feel (it might remind you of the slower Daft Punk tracks) and real 70’s dance. Song of a Gun is a softer and smoother (but equally funky) song with subtle gangster references like The Heat but never losing it’s elegance, and as all tracks in this second half of the album it’s mostly a love song, so it’s followed by Lucky I Got What I Want, which is: the penultimate song for the album and a previously released song by the band alongside the single release for The Heat. It also would have been nice closure for the album by itself; the sound invites you to dance slowly and is truly soulful. But the album closes with its 12th song that is equally soulful but more imaginative and memorable, Lemonade Lake. Overall, I’m totally impressed by Jungle. I’ve been repeatedly listening to them, to each song they had released up to now, and I can finally listen to their album as a whole. I hope I will soon be able to see them live because I’ve been awed by their originality and talent from what I’ve seen of their lives shows. Jungle is a true gem in modern music. In 2014, it feels like no artist plays their own instruments anymore and we have heard almost everything. 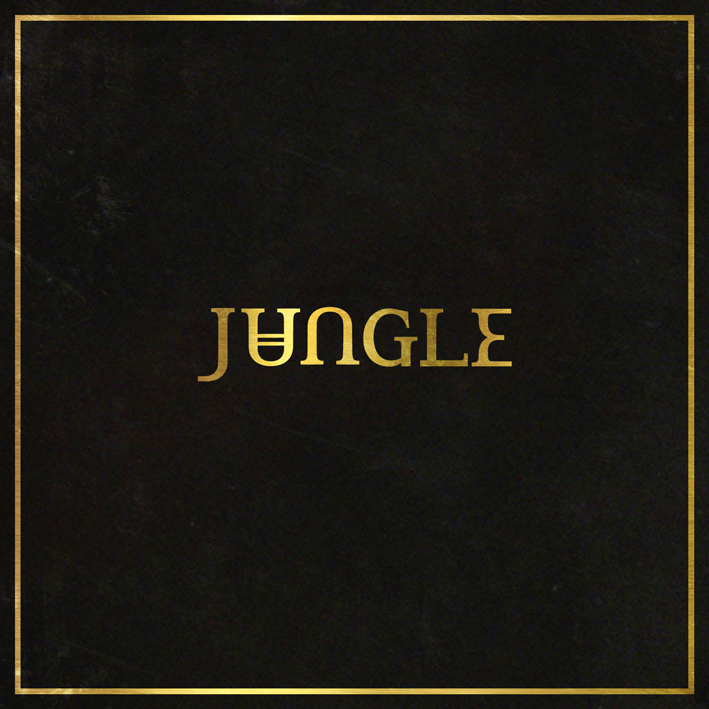 Jungle manages to create music that can truly be catchy, commercial hits but they stay soulful. Nowadays, music that blends past sounds with current dance is nothing new. We’ve heard it all with many artists, for example, combining electro and swing (remember when that sounded refreshing?) and we’ve done it too with various other music genres. But the way Jungle blends all these various elements of funk, soul, dance and dubstep, makes it not only unique because their approach is truly masterfully composed but mainly because it precisely doesn’t feel like a blend of sounds at all, and that is why Jungle is so special. They are well beyond the mixture of musical elements they use, they are in a category of their own.